I thought The Look of Love by Sarah Jio would be a holiday story because Jane, the main character, was born on Christmas Day, but it turned out to be something completely different. What it is, is a fictional novel about a 29-year-old woman who learns the strange migraines she has experienced for most of her life are more than migraines; they are a side-effect of her ability to “see” love. I had high hopes for this novel, but found it to be just too strange and depressing. I thought the story was over populated and thought the many characters were underdeveloped. I was told more than I was shown. This is my first foray into Jio’s work and I really did not know what to expect. This is chic lit and not my personal genre of choice. I imagine others who like this type of work will enjoy the book. The end of the story was a bit redeeming, but all in all, I hoped for more than it delivered. 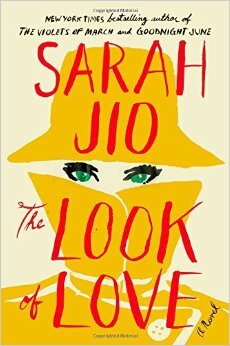 This entry was posted in Uncategorized and tagged Books, fiction, love, Sarah Jio, the look of love. Bookmark the permalink.